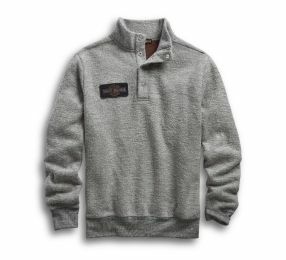 Stay warm and be cool with Harley-Davidson men's sweaters, sweatshirts, or hoodies. From the latest trends to timeless classics, there's a style for every enthusiast. 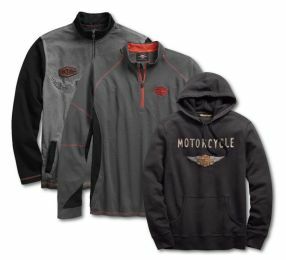 Harley-Davidson® men's pullovers offer you a range of styles. What better way to show your passion for the H-D® brand. 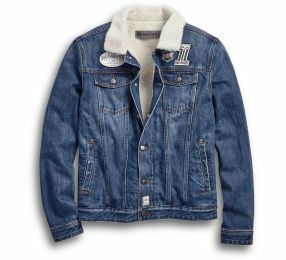 Harley-Davidson® men's fleeces keep you warm and show your H-D® passion to the world. With styles ranging from the latest trends to timeless classics, there's something for every enthusiast.